We're 20 minutes from Mountain Home, Arkansas on Lake Norfork. We're 5 minutes from Tracy Ferry Marina. The resort sits under tall hardwoods and looks out at the entrance to the Fall Creek arm of Lake Norfork. World class trout fishing is 15 minutes away at both the White River and North Fork River. The state's largest Wal-Mart is also 15 minutes away, as are several other retail facilities. So whether you want the peace and quiet of a remote forest, or the activity of a shopping trip, Crooked Hook is not far from what you want. What Is There To Do At Crooked Hook? Most of our guests and their children come for fishing, water skiing, scuba diving, and boating. The kids spend a lot of time in the pool and the game room. Our new private dock gives excellent access to Lake Norfork for both swiming and boating. It has six stalls with electrical outlets, a swim deck with ladder, and it is illuminated. It is a 300 yard drive down to the dock from the resort. We can arrange guided fishing trips for you and your party. If you are bringing your own boat you can launch at Tracy Ferry Marina which is 15 minutes away by water. We also have guests who are amateur naturalists who explore the area's bio-diversity. There are some 100,000 acres of public forests in the area that make excellent places to explore the region's unique karst geology, wildflowers, birds, animals, insects, and amphibians. There are many excellent day hikes with easy walking for persons of all ages. For those who do not wish to go anywhere and want to relax right here, we have a game room and swimming pool. Our inground pool is 40 feet long, 20 feet wide, and from 3 to 8 feet deep. The game room has a pool table, a ping-pong table, and television. For children we have a swing set, a teeter-tooter, and plenty of room to run. Let my expertise guide the way. 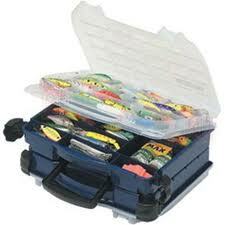 I will help plan your dream fishing trip. The swimming pool is next to the game room. 1 double bed, 2 twins beds, 2 full futons sleeps 8 persons. via an adjoining door between the units. Rates are for first 2 guests. Each additional guest is $5.00 up to room maximum. Pet Policy - Pets are allowed by permission only. A fee of $6.00 per day will apply. Pets must not be left unattended. Please Note! The room rates given above are for the maximum allowable number of persons for each unit. Guests who exceed the maximum occupancy number for any unit will be asked to leave without refund! Family Reunions - 4-Night minimum - holiday weeks not available for four night stays. All units have a lake view. You can choose either one or two bedroom units. All units are fully furnished with ranges, ovens, microwaves, drip coffee makers, dishes, utensils, heat and air conditioning, linens, ceiling fans, toasters, televisions, and towels (except beach towels). Baby beds and high chairs are available. Outside each unit has its own picnic table and barbecue grill. A free boat stall at our dock comes with any rental of one week or more. We have a coin op laundry on site. Daily towel service is provided. Crooked Hook Resort has added 2 full hook-up RV sites with water, sewer and 30 amp electric. Each site has a grill and picnic table. The rate is $25 per night. Our rental pontoon is a model year 2001 Lowe 20' Pontoon Boat with 40hp outboard motor $75 (plus fuel) for one-half-day, $120 (plus fuel) for a full day. Half-day is from 9am to 1:30 pm, or 1:30pm to 6pm. Full day is 9am to 6pm. Covered boat stall with electrical outlet is $5 per day, free with your stay of one week or longer. Check-in time is 3pm - Check-out time is 10am. $100 deposit required on rooms, and $50 deposit required on boat rentals to confirm your reservation. The balance is due for all days and equipment reserved upon your arrival. Late check-outs will require payment of 1/2 day rental of unit. No refunds unless your unit(s) are re-rented or applied to future rental - no exceptions. Telephone reservations will be held for 10 days pending our receipt of your deposit. While our dock is a good-sized platform, you'd never know it because all the trees dwarf it. Our dock is the only one in this private cove, which just a short run off the main lake channel. If peace an quiet is what you enjoy sunbathe or swim off the dock. In early morning, in early evening, and at night you can catch crappie and bass off the dock. If you bring your own boat you'll like the convenience of our dock. Bass, striper, walleye, and crappie fishing in our area of Norfork Lake is excellent. We'll give you pointers on fishing hotspots and baits, or if you wish, we can arrange a guided fishing trip for you. For more information on guided fishing trips and Norfork Lake striper fishing, please visit S.T. R. Outfitters.